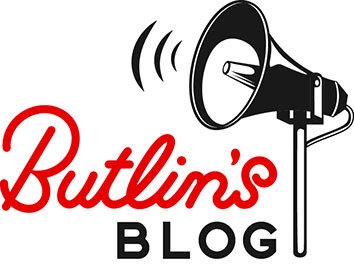 On this day, 28th January 1950 Billy opens Butlin’s Bahamas after a few years in the making. The project would become one of Billy’s biggest failures. After the second world war, Billy decided to take a holiday, something of a rarity for him. 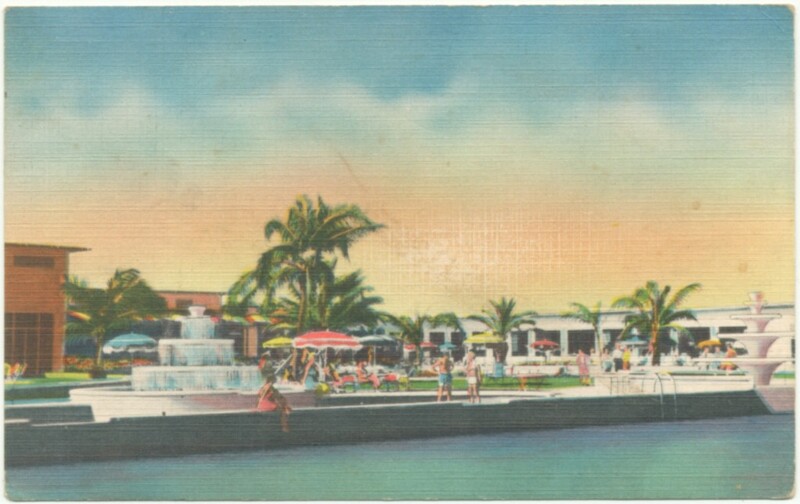 It was during this holiday that Billy first coined the idea of creating Butlin’s Bahamas. Whilst lying in the sun on a Bermuda beach, swimming in clear blue seas and learning to water ski, Billy spots a gap in the market. The Caribbean was a hot spot for vacationing Americans, all wanting the same thing; warm weather and to try new experiences and so saw the Caribbean as a growing holiday destination. Bermuda was only 800 miles from New York so offered a great starting place for Billy’s Caribbean endeavour and with the prospect of investment in the Caribbean bringing in millions of much needed dollars into the UK. 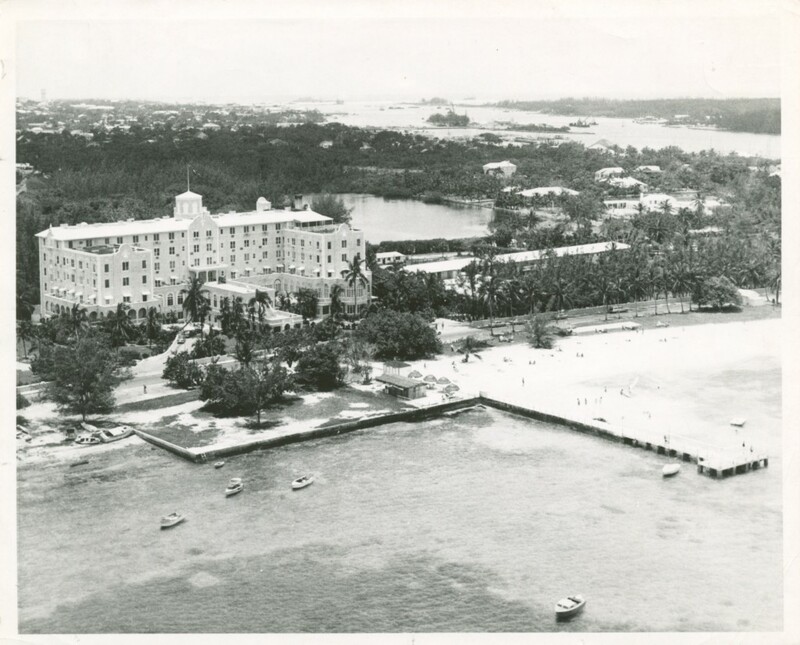 Billy bought two hotels on the island, Fort Montagu in Nassau for £455,000 and the Princess for £325,000. But the Bermudians weren’t very happy about the financial invasion. During a stay at one of his Bermudian hotels Billy met Brigadier General A. C Critchley and it was him that Billy first told about his plans to open a holiday village for middle class Americans in the Caribbean, Critchley then suggested the island of Grand Bahama. 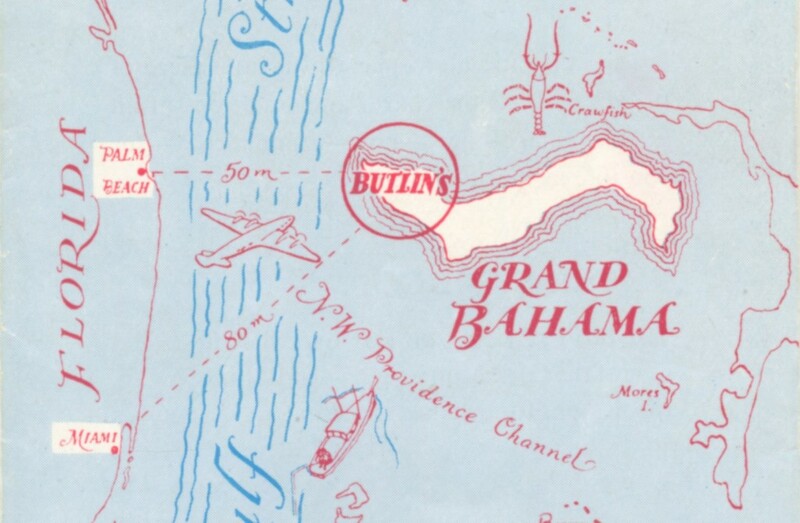 It was in early 1948 that Butlin’s Bahamas Ltd was formed. The estimated cost to build the holiday village was £1,500,000. Usually Billy financed his projects himself, never opting to partner. However Butlin’s Bahamas was different. Billy partnered with Critchley, the man who had found the island and further assured Billy that he knew city investors who would be willing to invest in the project; they both went in fifty/fifty. Their first big task was to build an airport, they realised that this was essential for guests to travel to the island. With this in mind Billy offered to build the airport with the understanding that the local government would meet half the cost. In return the government would own and be able to profit from the landing fees and custom duties of the airport. However, on completion of the runway the government recalled their deal to meet half the cost; it was a blow for Billy who had to foot the bill. Billy continued with his project and the idea was to open the holiday village in January 1950 as winter was peak season. The village would be created for the American taste and market. The village was to have an ‘Olde Worlde’ feel with each row of chalets named after an English county, there was a pub ‘Ye Olde Pig and Whistle’ and instead of Redcoats there were Social Directors. However, luck wasn’t on Billy’s side and labour difficulties, shortages and late arrivals meant that the village wasn’t ready in time for the January opening. However, Billy opened the village incomplete and gave each guest a bottle of champagne to compensate. Billy now desperately needed the promised investment from Critchley’s city investors to complete the project and start making the much anticipated profit but the money didn’t materialise. Billy tried everything he could to try and raise the money himself or find alternative investor, but nothing prevailed. With the village still incomplete and Billy unable to raise the funds needed to complete the project the only option was to sell it back to the Americans. In 1953 Butlin’s Bahamas went into liquidation and was bought by an American company and that saw the end of Billy’s Caribbean dream. Hey! I am the Archive Manager at Butlin's. It’s my job to uncover our long and rich history and to bring this to life for our team and guests. Competition: Win a Diversity Break!